About Sohail Yemeni, the prophet salla allahu ta’ala’alayhi wa sallam says that he is superior to his followers due to his kindness and favor. When there is praise by the prophet salla allahu ta’ala’alayhi wa sallam then what else can I describe about him. Sometimes the prophet salla allahu ta’ala’alayhi wa sallam used to turn his face towards Yemen and said, “I feel the breeze of love from the Yemen.”the prophet salla allahu ta’ala’alayhi wa sallam told on the day of judgment that Allah azzawajal will create 70,000 angels same as Owaise radi allahu anhu of Qarni (clone) and when Owaise radi allahu anhu of Qarni will come there in between them and will proceed to the heaven, no one will recognize him except Allah azzawajal, because in the world he used to worship away from the mankind and so he will be kept away from the mankind on the day of judgment. It is mentioned that the friends of Allah azzawajal will be kept hidden by him, so no one will be able to see them. On the day of judgment the prophet salla allahu ta’ala’alayhi wa sallam will come out of his palace and will say, “ where is Owaise radi allahu anhu, so that I can see him.” soon there will be a call in which it will be heard that do not worry in this matter, you will not see him here as you did not see him in the world. When the time of prophet salla allahu ta’ala’alayhi wa sallam’s death was nearer, the companions asked that to whom they should give his dress. He said, “to Owaise radi allahu anhu of Qarni.” After the death of prophet salla allahu ta’ala’alayhi wa sallam Omer Farouq radi allahu anhu and Ali Ibn Taleb radi allahu anhu went to Koofa (Baghdad) and at the time of delivering sermon Omer Farouq radi allahu anhu requested the people of Najd to stand and asked them, “Is there any person from Qarni.” they said, “yes.” then Omer Farouq radi allahu anhu asked them did they know about Owaise radi allahu anhu of Qarni? They replied, “no, but there is a mad person who lives away from the people.” Omer Farouq radi allahu anhu asked where he lives. They replied, “He lives in Arna valley and looks after the camels, eats dry bread in the night, neither come to the village nor talk to the people.” he does not eat what we eat and he does not know sorrow and happiness. When people laugh he weeps and when people weep he laughs. Omer Farouq radi allahu anhu and Ali Ibn Taleb radi allahu anhu went to that valley and found that Owaise radi allahu anhu of Qarni was praying at that time. Allah azzawajal has ordered his angels to look after his camels. When there was a sound he finished his prayer and said salam to Omer Farouq radi allahu anhu. Omer Farouq radi allahu anhu asked him, “ What his name is?” he replied, “A slave of Allah azzawajal.” then Omer Farouq radi allahu anhu said, “We all are slaves of Allah azzawajal but I am asking your proper name.” he replied, “Owaise.” Omer Farouq radi allahu anhu told him to show his left hand. He showed his hand and Omer Farouq radi allahu anhu saw the white mark on his hand, which was already described by the prophet salla allahu ta’ala’alayhi wa sallam. He kissed his hand and said, “The prophet salla allahu ta’ala’alayhi wa sallam has conveyed his Salam and has sent his dress for you and asked you to pray for the Muslims.” then Owaise radi allahu anhu of Qarni told them, “You are superior so you pray, as you are very close to the prophet salla allahu ta’ala’alayhi wa sallam.” Omer Farouq radi allahu anhu replied, “I will pray but you also pray according to the advice of the prophet salla allahu ta’ala’alayhi wa sallam. Owaise radi allahu anhu of Qarni requested Omer farouq radi allahu anhu to please check some other person and that he is not the real one. Omer Farouq radi allahu anhu said that they have found all marks on him, which were explained by the prophet salla allahu ta’ala’alayhi wa sallam. Then Owaise radi allahu anhu of Qarni said, “Give me the dress so that I can pray.”Omer Farouq radi allahu anhu gave him the dress. Owaise radi allahu anhu of Qarni told him to stay there and he went away and poured the dust on his face and asked Allah azzawajal, “Oh Allah azzawajal, I will not wear the dress until you accept my recommendation for all Muslims and for this the prophet salla allahu ta’ala’alayhi wa sallam has sent his dress and Omer Farouq radi allahu anhu and Ali Ibn Taleb radi allahu anhu have done their work, now your work is left.” then there was call in which it was heard, “I have forgiven some people due to your recommendation.” Owaise radi allahu anhu of Qarni replied, “I will not wear the dress until you forgive all Muslims.” then the call was heard again in which it was told, “I have forgiven many people.” when he was talking to Allah azzawajal, at the same moment Omer Farouq radi allahu anhu and Ali Ibn Taleb radi allahu anhu came over there. When Owaise radi allahu anhu saw them there he asked them that why they have come over there because he was talking to Allah azzawajal and that he will not wear the dress until he (Allah) azzawajal accepts my recommendation for all the Muslims. Omer Farouq radi allahu anhu saw that Owaise radi allahu anhu of Qarni was wearing a rag dress, in which there was wealth of 18000 worlds. Omer Farouq radi allahu anhu was very sad to see himself and his caliphate, so he said, “Anybody is there who can purchase his caliphate for a piece of bread.” Owaise radi allahu anhu said that foolish will purchase so throw it and anybody who likes it, will take it, so there is no need of selling and buying it. Then Owaise radi allahu anhu of Qarni wore the dress and said that Allah azzawajal has forgiven the Muslims on his recommendation and due to this dress to equal number of the sheep of Rabiya and Mizer tribes. Ali Ibn Taleb radi allahu anhu was silent. Omer Farouq radi allahu anhu asked him, “Oh Owaise radi allahu anhu, why have you not met the prophet salla allahu ta’ala’alayhi wa sallam?” Owaise radi allahu anhu asked, “Have you seen the forehead of the prophet salla allahu ta’ala’alayhi wa sallam. If you have seen then tell me whether his eyebrows were close or scattered.” but he could not reply this. Owaise radi allahu anhu of Qarni told, “ Are you a friend of the prophet Muhammad salla allahu ta’ala’alayhi wa sallam?” he said, “yes.” if you were firm in the friendship then why you have not broken your teeth when the prophet salla allahu ta’ala’alayhi wa sallam’s teeth were broken in the battle of mount of Ohud in Madina and this is the rule of friendship. He showed his teeth and said that he had broken all his teeth in prophet salla allahu ta’ala’alayhi wa sallam’s love without even seeing him. When I broke a tooth, I was not sure of it as it might be the same tooth of the prophet salla allahu ta’ala’alayhi wa sallam or not and then I have broken all my teeth. Omer Farouq radi allahu anhu and Ali Ibn Taleb radi allahu anhu wept and said that your value of respect was great. He did not see the prophet but his respect for the prophet salla allahu ta’ala’alayhi wa sallam was admirable. We have to learn respect from him. Omer Farouq radi allahu anhu asked him to pray for him. Owaise radi allahu anhu of Qarni told him that there should be no desires and wishes when one has faith in Allah azzawajal. In every prayer I used to pray for all men and women of Muslim world for Allah azzawajal’s mercy and forgiveness. If you die with faith then you will find result of my pray in your grave otherwise my pray will be spoiled. Omer Farouq radi allahu anhu asked him to give some advice. He said, “Oh Omer radi allahu anhu, do you know Allah azzawajal?” Omer radi allahu anhu said, “Yes, I know.” He told Omer radi allahu anhu that except Allah azzawajal he does not know anybody and it is better for you also. Again Omer radi allahu anhu asked for more pieces of advice. He said, “Oh Omer radi allahu anhu, does Allah azzawajal know you.” He said, “Yes.” then it is better that Allah azzawajal knows you more than others. Then Omer radi allahu anhu told him to please wait for some time, so that he can bring something for him. Owaise radi allahu anhu of Qarni took out two dinars from his pocket and said, “This is my earning from camel grazing. If you guarantee that these two dinars are enough for my entire life then I will accept the other things from you, otherwise I do not need anything.” then Owaise radi allahu anhu of Qarni gave thanks to them for coming over there to see him after facing many difficulties and asked them to leave the place. The Day of Judgment is near, where we can meet there and from there we will not separate at all. Now I am busy for the preparation for the life after death. When Omer Farouq radi allahu anhu and Ali Ibn Taleb radi allahu anhu left that place the people of that place started respecting Owaise radi allahu anhu of Qarni. He left that place and reached Koofa. After that nobody has seen him, but Huban’s son Harm when he heard about the greatness of recommendation of Owaise radi allahu anhu of Qarni he was anxious to see him. He went to Koofa to see him, searched him and by chance he found him on the river Farat where he was doing ablution and washing his clothes. He said, “I recognized you due to your greatness and what I have heard about you.” He paid salam to him; he replied it and he looked at me carefully. I wanted to shake his hand but he did not give his hand. I said, “Oh Owaise radi allahu anhu, Allah azzawajal has blessed you, granted his mercy and has forgiven you.” I wept in his friendship and on his weak condition, Owaise radi allahu anhu of Qarni also wept. Owaise radi allahu anhu said, “Oh Harm, the son of Huban, god bless you. What thing you have brought here and who showed you my address.” Harm replied him, “How do you know my name and my father’s name, as I have not seen you before.” Owaise radi allahu anhu said, “Allah azzawajal told me, who knows everything. My soul recognized your soul, as soul of Muslim knows each other.” I asked him to narrate any saying of the prophet salla allahu ta’ala’alayhi wa sallam. He told that he did not met the prophet and has heard his qualities from others and do not want to become scholar of prophet salla allahu ta’ala’alayhi wa sallam’s tradition, as he has many pending things to do. Then he asked him to recite any verse from the Quran. He recited. “A‘oodhu billahi minash shaitan rajeem” and he started weeping. He said that Allah azzawajal says in the Quran, “wama khalaqtul jinna wal insa illa li-ya‘budoon.” he recited and he cried in loud noise so I thought that he had gone mad. He again asked me what had brought him there. I told him that I wanted your friendship and to become successful. He replied that one who knows Allah azzawajal does not need the love and affection of others and gets comfort from others. I asked him to advise me. He told me that when you sleep, think that your death is under your pillow. When wake up, do not have many hopes and do not consider any sin smaller, but think it is big one. If you think any sin smaller then you think Allah azzawajal small and will become a sinner. I asked him, “What do you say about my stay?” he told me to go to Syria. Then I asked how I would find my livelihood there? Owaise radi allahu anhu of Qarni said, “It is very sad that their hearts are full of doubts and suspicions and they do not accept the pieces of advice.” I asked him some more pieces of advice for me. He told, “Oh son of Huban, your father died. Adam alayhi salaam, Eve alayhi salaam, Noah alayhi salaam, Abraham alayhi salaam, Moses alayhi salaam, David alayhi salaam also died. Abu bakr radi allahu anhu died who was the first caliph, my brother Omer radi allahu anhu also died.” then he said, “Oh Omer radi allahu anhu, god bless you.” Omer radi allahu anhu is still living. He says, Allah azzawajal has informed him that Omer radi allahu anhu has passed away. He told me that, I and you are in between dead. He recite blessing and started praying. He advised me to follow the holy book and the right path and do not forget about death at any moment. When you reach your people then advise them and also advise mankind. Always follow the steps of the prophet salla allahu ta’ala’alayhi wa sallam, otherwise you will be out of the religion and be eligible for the hell. He then advised some prayers and asked me to go. He said, “Oh son of Huban, you will not see me and I will not see you again, but remember me in your prayers, because I to remember you in my prayers. You go on that way and I will follow this way.” I had desire to follow him for some time but he did not allow me. He wept and I also wept. I was watching him from the backside but after some time he disappeared. After that there was no news about him. The son of Huban said that Owaise radi allahu anhu of Qarni first told him about the four caliphs of the prophet salla allahu ta’ala’alayhi wa sallam. People told Owaise radi allahu anhu of Qarni that there is one man who is sitting in the grave since 30 years and wearing shroud around his neck and weeping. He said, “Take me to that person so that I can see him.” the people took him to that person and he saw that man who has become thin by weeping. He told him, “Oh man, the shroud and the grave has kept you away from the Allah azzawajal, and these two things are disturbing on your way.” Due to his divine appearance that person was able to see these things on him and his condition was revealed to him. He died in the grave. So think on it that if grave and shroud are seen then other things can also be seen. It is reported that Owaise radi allahu anhu has not eaten anything or drank even water for three days. On the fourth day he got a dinar on the way. He did not took that dinar and he thought that it belonged to some other person and he went ahead to eat grass. Then he saw a sheep and in her mouth there was hot bread and the sheep kept that bread before him. But he thought that it belonged to some other person. The sheep told him, “I am the slave of Allah azzawajal like you.” then he took that bread and that sheep was disappeared. His praise and qualities are too many and great. In the beginning Shaikh Abul Qasim Gorgani was the follower of Owaise radi allahu anhu of Qarni. Owaise of Qarni says that one who knows Allah azzawajal from Allah azzawajal, and then he knows everything. He said, “Safety is in loneliness. The person who is single and alone and who do not think about others in his heart is safe and secured, because it is not good to think about others in loneliness. Satan (devil) will run away when two persons meet each other.” So he did not go there because he knew that no need to misguide them, as those persons are busy with each other and have forgotten Allah azzawajal. Owaise radi allahu anhu of Qarni suggested keeping control on the heart so that other person (devil) may not enter into it. 1.When I asked for high respect, I got it in the service. 2.When I asked for leadership and status, I got it in the people’s advice. 3.When I asked for kindness and service, I got it in the truth and right path. 4.When I asked for proud and greatness, I got it in poverty and misery. 5.When I asked for link, I got it in goodness and in the fear of god. 6.When I asked for fame, I got it in the worship. 7.When I asked for carelessness, I got it in the trust of God. It is reported that the neighbors of Owaise radi allahu anhu of Qarni told him that they thought him a mad man. They collected some money and constructed a house for him. He used to live in that house. There was nothing in the house to eat at the time of breakfast. He tried to earn money by collecting seeds of dates and by selling them. From that money he managed his food. If he collected dates, he used to sell them and that money was spent for the charity. His dress was old and not in the good condition. He made his dress from the horse skin which he used to clean himself. He used to leave the house at the time of morning prayer and to enter the house after night prayer. Wherever he went, the children threw stones on him. He requested the children to throw small stones on him to avoid bleeding from his body and not to spoil his ablution. He was not worried about his legs but he was worried about his prayers. In his last days he met Ali Ibn Taleb radi allahu anhu and participated in the war of Seffin and died there. There is a group of people who consider themselves as Owaisia radi allahu anhu. For them there is no need of teacher and they do not have any source with them like Owaise radi allahu anhu of Qarni, but they are on the right path of religion due to the grace of god. Owaise radi allahu anhu of Qarni has not seen the prophet but the prophet salla allahu ta’ala’alayhi wa sallam did his internal training and this is fact. His position is very high and it is difficult for anybody to attain such a high position. Such greatness is due to the kindness and mercy of God. Whom God likes, will be given such a great position. 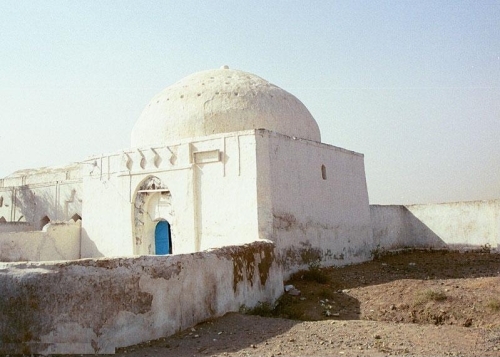 His grave is in a small village of Yemen, which is far away from capital Sana. Translated from Urdu to English by Mohammed A .Hafeez, B.Com.
. I really got a lot of knowlege about Hazrat Awais Qarni R.A. I thank all of u that u posted such like Islamic Knowlege. AS SALAAM-O-ALAIKUM WA RAHMATULLAHI WA BARKAATUHU. HAVE A JOYOUS AND SPIRITED EID MILAD UN-NABI MUBARAK. PEACE, AND HAPPINESS …. AAMEEN. H A P P Y EID MILAD UN NABI MUBARAK. MAY ALLAH SUBHANAHU WA TA’ALAGIVE US ALL GOOD HEALTH SO THAT WE CAN USE IT IN HIS WORSHIP. LEAVE THEM TO A LATER DATE. AAMEEN. MAY ALLAH SUBHANAHU WA TA’ALA BLESS YOU ALL AND MAY HE TURN ALL YOUR NOBLE THOUGHTS, FEELINGS, WISHES AND DESIRES INTO REALITY. ADDING ON THIS SITE I AM OBLIGED TO ITS WEB SITE OWNER AND ALSO I AM GRATEFUL TO ALL BROTHER AND SISTER FOR READING IT. In the midnight, Mir Qamar-ud-Din, Pornia, and Badar-Uz-zaman were sitting in front of the palace of Sultan and were talking with English army officers. Some soldiers were around them and were holding torches in their hands. At that time Mir Nadeem came over and cried, “Now I got the correct information about Tipu Sultan that his dead body is there in front of north gate of the Fort under the pile of other dead bodies. So please follow me upto there.” All of them followed him and they reached that place where there were many dead bodies. On the order of British officers, all dead bodies were checked one by one. When they were doing so, one English soldier touched the hand of a corpse when his hand hit with some hard metal and the turban from corpse head had fallen down. The black long hair covered the face were open. The English soldier explained the details to his officer. When they brought the torches closer, they found a women’s corpse who was wearing golden bracelets in her hands. They found another women’s corpse, which was badly injured with many bullets. Pornia took torch from the soldier, carefully watched that woman and recognised her. The English officers asked him, “Are you able to recognise her?” Pornia said, “Yes, she is an orphan Hindu girl and her father was died in the last war. The Sultan had adopted her as his daughter.” “And who is another woman?”, asked English Officers. “I do not know about her. May be she belongs to the royal family.”, replied Pornia. After some time all the corpses were checked. When they saw the body of Sultan Tipu they were silent. Sultan’s dress was full of bloodstains but his face was full of grandeur and grace. In his hand was handle of his broken sword and his dress was same like his other army officers but his turban was different from others. Sultan’s turban fell down from his corpse. Badar-uz-Zaman had taken that turban. One English officer asked him, “Is this Tipu Sultan?” Mir Qamar-ud-Din replied in low voice, “Yes, congratulations for the victory.” One English soldier cried, “He is alive.” So some persons pointed their guns towards the body of Tipu Sultan. One English officer came forward, checked the pulse of Sultan, put his hand on the chest of Sultan and said, “He is dead.” Badar-uz-Zaman looked at the Sultan’s turban, touched it to his eyes with great respect and said, “We are his murders and not all of you. We had murdered him and our coming generations will put flowers of respect on his grave.” The English officer told Qamar-ud-Din that they are grateful to him and asked him to do arrangement to send the corpse in palki to the palace. He informed General Harris. After some time there were slogans of victory from all the corners of the Fort and with great joy and happiness the English soldiers moved to the houses of Mysorean people for plundering and looting. The other groups of British army, who were searching the Sultan, also followed them in looting and plundering the people’s properties and killing the innocent men and women. That night turned into a black night for the inhabitants of the Mysore city. There were cries from thousand of daughters of this nation but there was no reply for it. Due to the misdeeds of Mir Sadiq and others, all such things happened. The mother who had nourished with her milk to Mir Sadiq, the treacherous, was also ashamed. No house of Srirangapatnam was safe and secure from the brutality of the English army. The treacherous, who had helped Mir Sadiq,Pornia, Qamar-ud-Din and Moin-ud-Din were then thinking that they had not only sold away the freedom of Mysore but also they had sold the respect and value of their daughters and women. The soldiers of Sultan killed Mir Sadiq and Mir Moin-ud-Din before they received their reward of treachery from their foreign lords. Their souls must be watching the misdeeds of British army doing wrong in their houses for whom they had made the way of entry to the city of Srirangapatnam. Their daughters and women were in distress condition due to the misdeeds of the drunkard soldiers. Those women cried and appealed as follows. On the next day, at about four O’clock, the Sultan’s funeral procession started and was followed by prince, officers and four companies of the British army. The faithful wounded soldiers of the Sultan and other persons were ahead and were holding the sultan on their shoulders. There was lot of fear and terror in the city due to looting and plundering which took place in last night. Streets and bazaars were vacant. When the funeral procession left the Fort all men, women and children from all the communities joined it with heavy heart. On the way the number of people increased and their fear and terror decreased gradually. They were considering themselves as the most unfortunate people and were thinking that the Sultan’s corpse is their guard. The men of Srirangapatnam wept loudly and women untied their braids in the grief of the Sultan’s death. When the funeral procession left the Fort, the wind was very slow at that time and there was too much humidity in the atmosphere. The people were watching a dangerous storm on the horizon. After some time a black storm covered the entire sky. When the procession reached Lal Bagh and the qazi finished the funeral prayer, the corpse was placed respectfully in the grave. At that time there was severe thundering in the sky. People were very afraid of it. The British army was ordered for the gun salute but the sound of the guns was not heard clearly because of the thundering of clouds. It seemed that the sky was making ‘arrangement’ to welcome the soul of great Tipu Sultan. FOR THE BENEFITS OF THE READERS THROUGHOUT GLOBE THE FOLLOWING BOOK 0F GREAT FAME IS UPLOADED ON THE BELOW WEBSITE FOR FREE ACCESS IN THE COMPLETE SHAPE IN ONE PART UPON THE SUCCESS OF ITS PUBLICATION IN TWO PARTS. MAY I REQUEST THE READERS TO READ THE GREAT BOOK OF FARID AL DIN ATTAR FOR WHICHI SHALL BE HIGHLY OBLIGED TO THE READERS OF THE WEB SITE. Description: Muslim Saints and Mystics is an abridgement, translated by A.J. Arberry, of Attar’s only known prose work: Tadhkirat al-Auliya (The Memorial of the Saints), which he worked on throughout much of his life and which was available publicly before his death. In what is considered the most compelling entry in this book, Attar relates the story of the execution of Hallaj, the mystic who had uttered the words “I am the Truth” in a state of ecstatic contemplation. Arberry’s translation is an abridgement; the entry on Owaise al-Qarani translated by Mohammed Abdul Hafeez, omitted in Arberry’s text, is included at the following link: Owaise al-Qarani and in this book total 58 missing episodes are available. BOOK: TAHIRUL QADRI KI HAQIQAT KYA HAI?????? Ji Muje Abhi Nahi pata kese dalu …. Please find the book on the below link and this is first article in English about life history of Hadrat Owaise of Qarni on below link. Please find the link as follows. Please allow edit for the comments so that your great site may be free from typing mistakes. Accept prayer of Sahwi as you are an owner of the worlds. – 4.8/5 from 4083 votes. The compiler of the book Khair al-Majalis says that he heard this story by Hazrat Burhanuddin Gharib and he was writing this narration in his Malfuzat (speeches) book. Then I told him that, “He was seen Hadrat Burhanuddin Gharib in his dream and who is asking him whether his book was completed.? I have said, “Yes ”. Then he was brought one book before me and which he was opened and read by him. And from the book it seems it was appeared gold from it. He was given me that book and then he said to the people of the meeting that “ Such grace should be given to him”. And it was known center of learning, but now no more. His college’s campus, which reminds all Mahmud Gawan. The right path towards success and love of the mankind. This letter is with the deep heartfelt feelings in the presence of his beloved and from his soulless body to its soul. From the thirsty person who is running towards the spring and from the dis-hearted person to the sympathetic person. From the humble drop of water to the sea and from dry field to the merciful cloud. From one small restless particle to the sun, from one small poor ant who is present in the court of King Jamshid. With the story of grief one sad person is present with the pleasing personality. From the heap of dust which is in the presence of the bouquet and from the worthless person to the great learned person. From scattered person who is with the presence of organized and from the darkness towards the lamp. From the slave in the presence of blessed king and from impression towards the painter. This letter should reach to Rahmatabad and to reach in the presence of the Sheikh of the worshippers. He is such great Sheikh who is kind to all good and bad persons like the mercy of Allah. Nobody could not able to describe his praise and nobody could not know his level of his greatness. Due to continuous looking of his sight at his foot and he has taught his foot the style of eye sight. We are ready to finish for the sake of your love and due to such condition and despite of sitting there is movement on this matter. Due to the relish of your existence in the meeting place you hide in the closets of hearts. The meeting is possible due to your gratifying our desire so now there is no need of remembrance in this matter. Like old personality (Allah) your resumption becomes such that you will not look his sight as unrelated. Your custody is like that you know all which is hidden and openly except Allah. Before there was a memory but now the flag of mystical experience is waving. You are free from counting numbers so you listener you should not limit his qualities in the counting. When you have become full of precisely so your praise is not proper except the heart which is presented. Due to the kindness of his heart there are benefits of the six senses to all disciples. I am caring your position of respect so in the matter of your carnal life I will not describe your qualities. Oh king, I do not have the courage and capacity to mention all your qualities and perfection. You know well your status and position and you know well your qualities. Due to my helpless condition I am presenting my worse condition in your kind presence. There is no status of personality is available like you and all are in your custody. I have heard many of your qualities so for this reason your pictures of impression are on my heart. Always I was thinking in this matter that to have the grace of your look. Due to problems of time I could not come and present myself in your presence. So it is a must for me to present in your company as you are ruler of the good deeds. Due to different reasons I was away from your comprehensive favours in this matter. At this time due to some necessity I was reached here and present in this place. If Allah wills I will visit you soon in this matter. I hope that after some time you will be kind enough in this matter to look at my worse conditions. You please help me and favour me in this matter. I am having a heart with sorrow and grief and lost in apprehensions. I am in doubts and desires and but still hope for your favour and kindness. I do not have a condition and name like you and not act upon any condition and does posses any position. Still I hope and great desire that I should be counted among your slaves. With this condition of the heart I am surprised in this matter so please solve my problems. I am helpless and my wounds are hidden oh ; the helper of helpless persons you know well this matter. Kindly allow me to act as a guard at the door of your meeting place. It is there any relation with a desert of Madina with the gardens? Oh Allah help us to reach Madina to enable to see how it is there? Where befall the mercy and there is available blessing everywhere? What is the heaven as it is gracefully for the sake of Madina city? Which made possible for them by the grace of the Lord. Description: Preface This is a very old book written about the advice and discourses (speeches) of Hazrat Khaja Naseeruddin Chiragh Dehlavi in the Urdu language and it is translated from Urdu into English. This is a translation of speeches of spiritual master Khaja Naseeruddin Chirag Dehlavi and which was compiled by Shair Hameed Qalendar and I have translated this book of the most ancient and celebrated Persian book about Sufi’ism will, I hope, be found useful not only by the number of students familiar with the subject at first hand, but also by many readers. So kindly bestow more mercy and blessings on her final resting place . Hadrat Syed Inkeshaf Ali Sahib’s shrine and tomb are one of the most popular religious places in Karimnagar district , and which are visited by people of all religions alike by both the Muslims and Hindus. Bijgir Sharif Dargah is one of Telangana’s most famous and prestigious landmarks situated nearby to Jammikunta Mandal railway station lying about 62 kms to the east of Karimnagar. This village is a prehistoric site containing Megalithic burials. Once the name of the village was Vijayagiri which is now called Bijgir consisting of mounts or the hills and hillocks in its surroundings. There are steps to reach the old Narasimha temple and Hanuman temple lying on a nearby hill. Today the village Bijgir Sharif is very popular because of the location of the Dargah of Hazrat Syed Inkeshaf Ali Sahib and which used to be visited on the daily basis by both the Muslims and Hindus alike with great reverence and devotion in a large number. There are four beautiful gateways on four sides of this tomb. The big dome and on the tomb is a splendid attraction of this beautiful edifice. The tomb of Azmatshah Wali (brother of Inkeshah Wali) Sahib and the tombs of their sons MurtazashahWali and Akbarshah Wali is also to be found in the same mausoleum. The tomb of Hazrat Syed Afzal Amma Bi, wife of the holy saint Inkeshahfali Sahib is located very near to the main Dargah. The peaceful atmosphere and the beautiful natural surroundings of this place tend to the growth of pure and serene thoughts of spiritualism. This holy Dargah with four gateways in the shape of arches surrounded by hills and hillocks filled with thousands of pigeons found in large groups attract the devotees from various places. This Dargah stands as a symbol of communal harmony as the Hindu and Muslim visitors are found in large numbers. It is reported that this Dargah is eight centuries old. • In the month of Bakrid especially at the festival time, the Neem tree which is to be found next to Dargah becomes as sweet as sugar. • Dargah Shareef is famous for its spring of water where water flows throughout the year. • The Spring water changes into three types of different colours in a year at Bijgir Sharif Dargah. • Water in the well contains two different types of waters the half part is sweet whereas another part is salty. • Pachisi (Chess) played by Narsimha Swamy and Hazrath Inkushafali Sahib is still to be found at Bijgiri Sharif. • Long time ago thieves had tried to steal a gold chain which is offered by a devotee. When the thieves tried to steal the chain but the golden chain gone upside of Dargah with the miracle of Hazrat Syed Inkeshaf Ali Sahib of Bijgir Sharif Dargah and it’s still to be found now at that place only. • Bijgir Sharif Dargah visited by many devotees such as Hindus And Muslims Alike. On the occasion of the annual Urs (death anniversary) celebrated in connection with the Muslim festival of the Bakrid, and at that time thousands of people from far off place participate in it to offer their prayers in the Dargah. People from various walks of life, irrespective of caste and creed, assemble to celebrate the Urs (death anniversary) which takes place on the 10, 11 and 12 days of Zil Haj of Muslim calendar at the famous shrine (Dargah) Hazrat Syed Inkeshaf Ali Sahib in Bijgir Sharif every year. Several hundred thousand devotees from near and far, irrespective of religion and beliefs, gather there to seek blessings. To write about this great Sufi saint is not only it is difficult and but it is very hard task as he was not only a great pious personality of his time in the area of the Deccan (South India) but he was also a great preacher so in brief he was great saints of his time in the Deccan region. So kindly bestow more mercy and blessings on her final resting place. Please find my book in English, French and Spanish and the link as follows. Please find one episode translated by me on the link as follows. Please find my books at the below link. LEAVE THEM AT A LATER DATE. AAMEEN. Please find the link which is mentioned as follows.